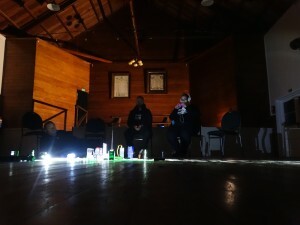 Mark – I had heard a few stories about spooky goings on in the Puhoi Centennial Hall through the years and have always been curious to go and spend some time there to look around for myself. I first heard whisperings of this apparently haunted hall when I was very young and eagerly soaking up all the available information I could about ghosts and where they allegedly resided in this country. I never tracked down any clear and confirmed details, just that it was haunted. That was enough to keep it on my mind all these years. On a weekend photographic excursion out that way I saw the hall which jogged my memory of the stories. The owners were more than happy to give the team total access to the building with no time limits. Their generosity, trust in us being there and the freedom they allowed us to get on with our research without supervision and time restraints was very much appreciated. 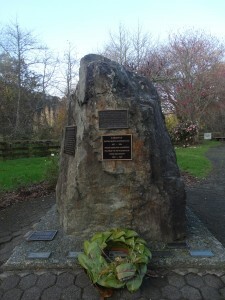 Local memorial to Captain Martin Krippner, the founder of the settlements at Puhoi and Ohaupo. Since it’s opening on Easter Monday 1900 the hall has been the hub of community activities. One of the first functions was a dance to raise funds for the Cricket club. In later years the Catholic Balls became an annual event. 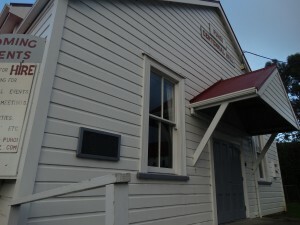 With the addition of modern facilities (power, kitchen, flushing toilets and electric hand dryers) to suit today’s standards, the Puhoi Centennial hall is able to host anything from Wedding receptions to small concerts and local performances while still managing to keep its picturesque charm from the days of old. It seems to have been composed of the actual hall area, a small stage and two small rooms to either side of the stage ( The original hall has had the addition of an entrance room, toilets, a modern kitchen, and a scullery/kitchen. Sam – While studying the photographs that proudly showcase Puhoi in the foyer of the towns Centennial hall; it is clear that not a great deal has changed to this historical building structurally since its grand opening on April 16th (Easter Monday) of the year 1900. Mark, Jessie, Sam, Ian and Barbara. Weather Conditions on the night – Cool and slightly overcast. Temperatures then jumped around wildly between 14° and 21° in the area of the hall that the team were seated in. 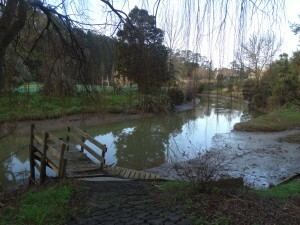 Barbara – It is a very well-kept hall in a picturesque setting beside the river. The hall felt calm and solid. I did get a feeling that there was some sort of energy in the ladies toilets but I was unable to corroborate this with any equipment. 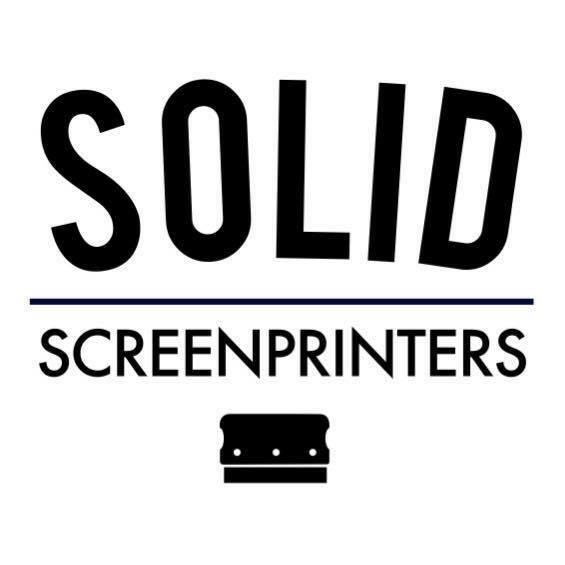 Sam – My first Impressions of the building were pleasant. While open plan (as halls generally are) the wooden structure of the halls interior (to me) felt comfortable and inviting. I was particularly drawn to one of the small rooms to the left of the stage inside the hall. This space was decorated with a myriad of messages from as early as 1983 of guests and performers alike who’d snuck backstage to leave their mark, creating some-what of a time capsule in their own right. 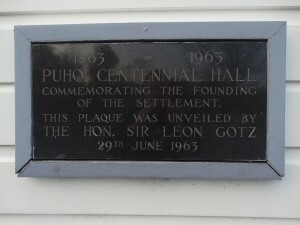 One message that stuck out to me was that of guests celebrating 150 years (last February 2013) since the arrival of the original Bohemian settlers to Puhoi in 1863. Many of the names in this message suggested that they were direct descendants of those settlers. Jess – The building was lovely and old and the improvements on it aren’t too invasive on the original bones of the place. It was rather small but nice and homely. I felt really comfortable there. The women’s toilets made me feel a bit odd at times like there was someone in one of the stalls about to come out. Other than that none of the rooms stood out any more than the others. Ian – I knew the location. I have driven through the town before. I heard it was a popular stop for bikers and tourists. It felt, and looked like a church and is used for small community events. We were let in by a very friendly couple. They seemed pleasant, accommodating and trusting. This is how I would imagine the whole village to be. It felt normal entering, as if you were welcomed by the local small community. It is all very open, so you see most rooms as you enter. It was cold and echoey inside. The sun was going down and it got colder so I wore warm clothes inside. Plaque unveiled during the Centennial celebrations in 1963. The main entrance/reception has a wooden plaque and pictures on the wall. There are male and female toilets on the left and straight ahead is the main hall and stage area. When you enter the main hall there are doors on the right hand side. The nearest one is a cleaning cupboard beside that there is a storage room. At the back of the hall there is the stage area with a door either side at ground level, there are benches on stage and at door at the back leading to a stage storage area and a rear exit door. The walls and wooden beams in here have names carved into them. There is a high ceiling and above the stage, there are stage lights above the stage and room lighting off the stage. The door at ground level left of stage is a kitchen. There are 2 of each item of whiteware and a hot food storage oven. There are 2 water boilers on the wall which could make some noise. The main hall has windows all along left and right walls but we closed all the curtains on these. The team investigates inside the hall. The team arrived at the hall and set up their equipment including audio recorders and video cameras to capture the whole investigation. Photos and video were taken of all areas both inside and outside the hall. Later in the evening we set up trigger objects and proceeded to conduct several communication sessions. 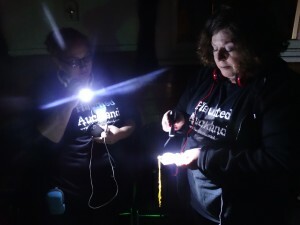 During the investigation we had several interesting occurrences including the lights turning themselves off in the main hall, a camera and torch turning on within seconds of each other and a compass arm was seen to swing wildly at the same the camera and torch were being affected. Shortly after that, during a communication session, a cold spot was reported between two investigators and the thermometer used to check the temperature malfunctioned and gave fluctuating temperatures ranging from 11°C-21°C over the space of a couple of seconds. 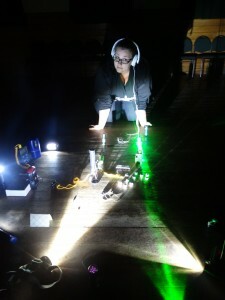 The team also spent some time trailing a new piece of equipment and testing the effect of static energy on the device. We spent time in all areas of the hall over the course of the investigation and conducted communication sessions in the main hall, the side kitchen/storeroom and in the ladies toilets. Barbara and Jess check their equipment. Barbara – The main hall was the highlight of our visit. There were various knocks and noises on cue during our communication session. Unfortunately these were not obvious enough when I reviewed my audio to be included as evidence but they were right on cue to our questions and were heard by all team members in the room. We also experienced equipment malfunctions (my thermometer and compass, Ian’s Go-Pro and Jessie’s torch) around the same time and in the same area of the hall. The hall lights also turned off with no one even in the same room as the switch. I also found the ladies toilets had a sense of something being there but cannot report anything unusual occurring there during our visit. At 6.15pm Lights in hall suddenly shut down. This may have been due to the circuit breaker but at the time we only had the hall lights on and the lady’s toilet hand-dryer going at the time. We reasoned that when the hall is in full use there would be a lot more power than that used so the small amount we were using at that time should not have tripped the circuit breaker. 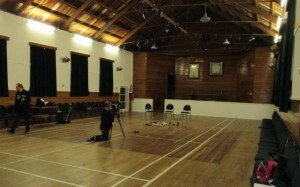 Ian sets up cameras inside the hall. 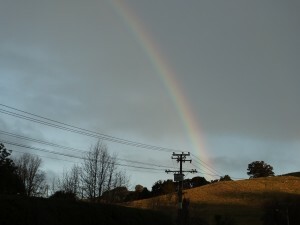 6.30pm – Jessie’s torch turned itself on and Ian’s Go-Pro also turned itself on. 6.35pm – Barbara’s compass moves and within seconds Jessie and Barbara report a cold breeze moving past them. Within a few seconds Ian also reports a cold breeze go past him. During an EVP session we heard several sounds which were on cue and seemed to be in response to our questions. They however just sound like creaks on the audio so cannot be used for the report. Just after 7pm while attempting a communication session the team noted that a cold breeze could be clearly felt. Upon checking the temperatures in the area and getting readings that were in line with a natural temperature drop due to the sun setting, Barbara’s thermometer gave wildly varied readings in quick succession. These temperatures ranged from 11 to 21C within a couple of seconds. The thermometer used has not given a reading like that before, so she immediately took it to another areas to check that it was working properly in a different area. Sam – When going into investigations I think it’s best to not expect too much in the way of any type of activity. However there were a few occasions that raised eyebrows amongst the team. 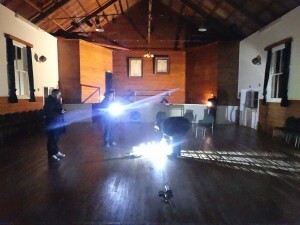 The first taking place at approximately 6:10pm as some members were setting up camera equipment and trigger objects in the centre of the hall a “click” was heard followed by complete darkness. It appeared that the power had gone out and had to be reset by flicking the switch at the mains box in the foyer of the building. We figured this could have been the result of a power surge as the electric hand dryers were being used in the female toilets at the time, however we could not seem to recreate the same power outage again. This occurrence seemed particularly unusual considering the hall was often rigged with extra lighting and audio equipment during any of the functions that are held there. Jess monitors the trigger objects and equipment. Jess – Right at the beginning of the night before we had properly started our investigation, Barbara and I decided to visit the ladies bathroom. When we came out of the bathroom the lights in the hall had gone out. I got excited and stated that i was glad the guys in the hall had decided it was time to go lights out and start things off. Turns out the guys hadn’t turned the lights off and had thought Barb or I had. Upon inspection the guys found that the breaker had been switched off. We wondered if the hand dryer had popped the fuse but when we tested it with both male and female hand dryers going it wouldn’t flick the fuse again. Just after this when we were in the hall finishing off getting all our gear ready I saw a white flash in the door way of the kitchen at the front of the door. Normally i wouldn’t mention this as it would well have been a car going past but i didn’t see this again for the rest of the investigation and after I saw it Barb had an event with her Compass and my torch turned itself on. 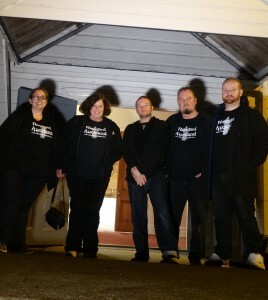 Sam – We began a ‘lights out’ / EVP session at around 6:30. Amongst the equipment used were laser grids, Go-Pro video and still cameras, trigger objects (alphabetical dice), electro-magnetic sensors and field detectors as well as digital voice recorders and digital thermometers. This session went well, there was a noticeable drop in temperature as well as random breezes being felt between the group. These as well as a noticeable knocking that was heard after a prompting from Barbara, could all have a rational explanation to them due to the age of the building and the general temperature and weather of that evening. Ian – The room that stood out most was the storage room on the right when you enter the main hall. When I went in here I felt like someone was touching the side of my head. I asked Barbara to go in to see if she felt anything but she had a different experience in here. I stood in the doorway with all the lights off and back to the door. I felt like someone was looking over my right shoulder. There was some light coming in from the windows here. Also in the main hall at one stage during the night I started to feel icy cold spots moving around my legs and hands. When I was in the main entrance later in the evening I heard people walking past the front door but when I went out to make sure the cars were ok I could not see anyone. I cannot explain where they could have gone but not sure if it was a paranormal experience or not, just an unexplained personal experience. Barbara – I felt that there was something odd about the lady’s toilet area. I felt slightly uneasy for no apparent reason while in there. We tried an array of various trigger tests in the main hall. These included cards leaning up against each other, ball bearings, dice as well as a assorted torches of differing light spectra. It was towards the end of this session that we heard the first of many EM sensor “beeps”. These were generally centred around Jess, in particular whenever she announced that she was leaving the room or got up out of her chair. Many tests were done throughout the night to recreate the sensor going off. After placing the sensor in different positions and trying to get similar reactions from the sensor via other members of the group we trended toward the theory that static electricity was the root cause. However questions remain: Why only Jess? Was there something in her clothing that conducted a stronger electrical charge than other member of the team? Or are some people simply better conductors of static charges when compared to others? Or was it even static electricity being detected at all? Mark – I found the static experiences very interesting as we spent a long time trying to work out the ‘how?’ and ‘why?’ of it all and could not come to any solid and definitive conclusion. We were trialling a new piece of equipment. The Parapod 2 created by Australian based WD Paraproducts. The ParaPod 2 detects E-Fields within its detection range. It is controlled by a small microprocessor which is programmed to be very sensitive to E-Fields or static charge, it also has the advantage of very low power drain when powered on so you don’t have to worry about battery drain. It has a detection radius of 2 meters from the unit. The only time it reacted during the session in the Kitchen room was when Jess would get up to leave the room. It was as if something wasnt too happy about her going. We tried as many approaches as we could think of. We considered the earthing situation via her shoes. Shoes were removed, various items were removed, swapped amongst team members in an attempt to try to find answers. We even had various team members pretend to be Jess. Wearing her clothing and acting like her. A fascinating moment of the night for sure! 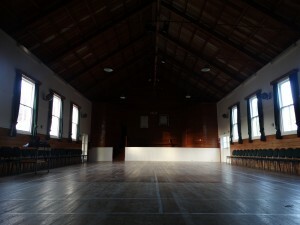 Interior of the Puhoi Centennial Hall. Barbara – I think it went really well. The team worked well together. All members were able to do their own research and experiments as well as participating in team sessions. We were able to help each other out with suggestions and ideas and worked together to come up with possible solutions as to why one of our devices was not working as it should. I would have LOVED to have had a camera in that front room when the lights went out. I audio recorded the whole investigation. We did do a few of communication sessions but didn’t get much apart from a few creaks. 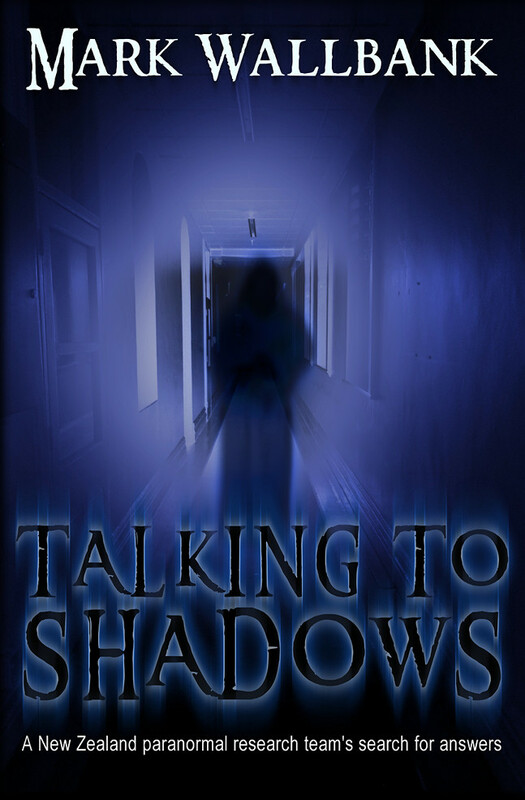 There were, at times what sounded like distant voices but due to the time of the investigation we decided there was a good chance of the voices being people at the hotel down the road or walking along the path outside. 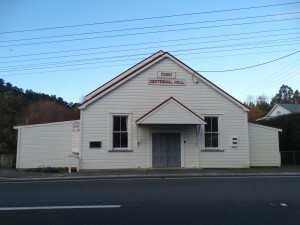 I didn’t actually see or hear anything to make me believe that the Puhoi hall is haunted. We did have some unusual occurrences but I didn’t see or hear anything that couldn’t be explained. However, the fact that there were a few of these happenings, indicates to me that there is a possibility that it is haunted, but without further investigation I could not speculate whether it may be residual or intelligent. Sam – I was pleased at how the investigation turned out as a whole. There were enough questions raised to keep the group thinking and researching. 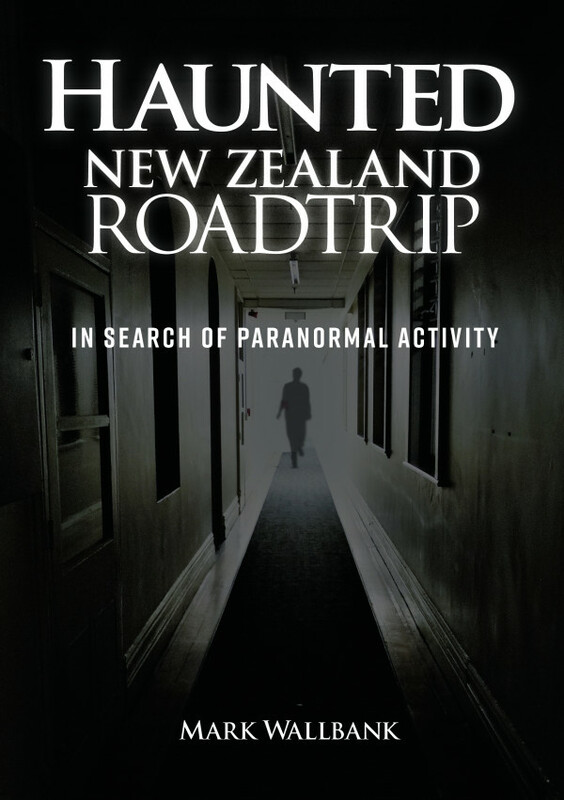 I don’t believe that there is enough evidence to suggest that the Puhoi Centennial Hall is haunted, however I also don’t believe that a follow-up investigation would be a complete waste of time either. In my opinion there are plenty of explanations that could be given in regards to cold spots, breezes and knocking on walls – perhaps a revisit in warmer weather and higher humidity would be good to compare notes with. Over all a great first investigation for me! Jess – I think it went really well and would gladly go to another one there. My overall feeling of the place is that there could be something there. I think it warrants a lot more investigation for sure. As my personal experiences were a bit limited I don’t believe I can pass comment on whether its residual or intelligent at this point. It was a great night and there were a few great little experiences to keep it interesting. Although I didn’t get any feelings either good or bad on the place I would like to think that if there is anything there it is wanting us to know it’s there. Mark – It was a relaxed and fun investigation that was a good test experience for the newer members in the team. The Jess-based activity of the night was interesting and really had us all thinking and experimenting. It was an investigative challenge that I got the feeling, everyone was thrilled to be a part of. We must go back there sometime to have another go at finding the reasoning behind the activity and whether it really was just an odd but explainable static occurrence of which had us stumped at the time … or maybe something more. As to whether or not the hall itself is haunted, I could not say at this stage. The stories go way back, but from what we gather, are rare, aren’t openly reported and certainly not a frequent occurrence. 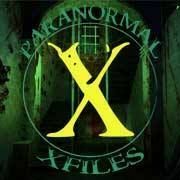 Ian – I think there was a few strange experiences here but I’m not sure how many were paranormal. I think there is something here. I felt cold spots as noted during the night. I had a feeling of something touching off my head in one room. I heard people walking the main door but couldn’t see anyone outside. At the beginning of the investigation a trip switch cut off power and we could not figure out what caused it. There is a higher than normal power usage but I do not think it caused any interference during our investigation. I would say if this place is haunted it is an intelligent haunting because if my EVPs turn out to be something there are reacting to questions or while people are speaking. I would guess if there is someone here it could be Arthur Dunn as he did some restoration work and is possibly looking over his work as it might have been the last major job or project during his life. I feel this is a place with lots of small community history, where families came for shows or meetings, a place of celebration and many memories exist from times in this hall. It has a welcoming feel and anything that happened to me during the night did not feel negative, it was more like someone watching what we were doing and possibly willing and trying to play games and trick or confuse us. He taught himself the botanical nomenclature of bush and wetland native plants for the job, and some 40 plus specimens at the Auckland Museum have his name beside them. 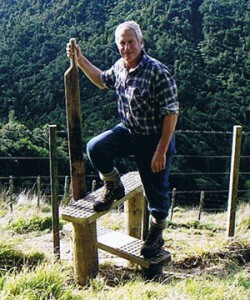 Mr Dunn was mostly accompanied and supported by Val, a partnership that resulted in them receiving the QSM in 2000, following a 1998 Green Ribbon award from the Environment Ministry. Mr Dunn laughed when the QSM citation was read out that the award was ‘for killing thousands of possums’. This is why I think if it was him he was a fun guy and enjoyed and was excited about his job and like to be acknowledged. I feel like if it could be Arthur, he may be happy that people are looking into Puhoi’s history and interested in communicating with him. Because he died of a heart attack it is possible that people did not show their true feeling and how much they appreciated his efforts as they did not expect to lose him at that time. If it is Arthur, I would expect him to be watching over us that night with a proud smile on his face. 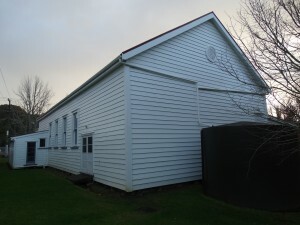 A big thank you to the Puhoi Centennial Hall management for allowing the team full, unaided access to the building and giving us a chance to look further into the ‘soul’ of this beautiful piece of rural north Auckland history.